The foot and cycle path is a valuable resource for leisure, exercise and access to the countryside. It even forms part of a "commuter route" for a number of regular users. 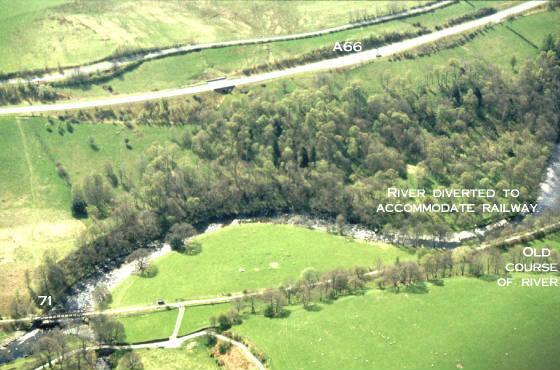 Early in the life of the Railway Project it was recognised that when the railway re-opens there needs to be provision for foot and cycle traffic along the Keswick to Threlkeld corridor, off main roads. Indeed, there would be plenty of opportunities for interaction -such as linear walks with a return by train. How to provide for all types of usage has been considered at all stages. CKP Railways plc's aim is to have "something for everyone" once the Railway is open, not to force a choice between the Path or the Railway. The path is managed by the Lake District National Park Authority (LDNPA), by agreement with landowners on sections which it does not itself own. It is a "permissive path" and is part of the National Cycle Network, as one of two parallel route eastward from Keswick. The other route uses the "old road" past Castlerigg Stone Circle. The path was closed temporaily in 2001 during the foot and mouth outbreak. The path mostly runs along the railway trackbed, except for a section under the "Greta Viaduct" which carriess the A66 bypass round Keswick. That section of path rises above the original track level and goes round the crown of a headland and under the road vaduct. The railway used to go through that headland in a tunnel, known as "Big Tunnel". That tunnel still exists, but has been infilled and sealed to prevent any collapse which might damage it or weaken the foundations of the road viaduct. It has been inspected internally from time to time and found to be in good condition. 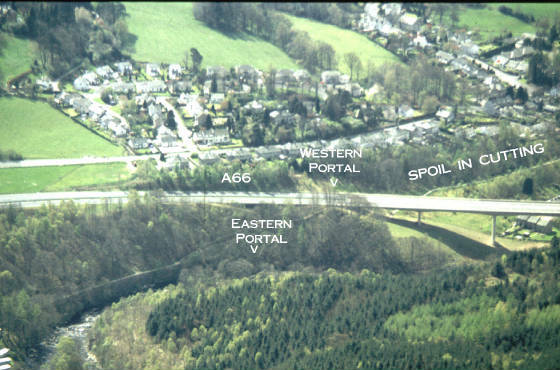 The entrance arch at the eastern (Penrith end) of the tunnel is partly visible. The Railway Path links many different habitats from open grassland to wet rock faces with very specific lichens etc. Woodlands in the area are among the UK's few remaining strongholds for Red Squirrels. Explanatory walks are arranged from time to time by local organisations. Re-instatement of the Railway would be carried out sensitively to preserve these valuable features.